This year, the BCC Spring Nantahala trip will be held one week later than the NOC "Spring Fling" so as to coincide with the Upper Nantahala and Cascades release (and to avoid conflict with Easter). North Carolina's shimmering Nantahala River, located just outside Bryson City, NC, offers rafting, inflatable kayaking (duckies), open boat white water canoe, closed cockpit white water kayaking, through family-friendly rapids that are mild but exciting. 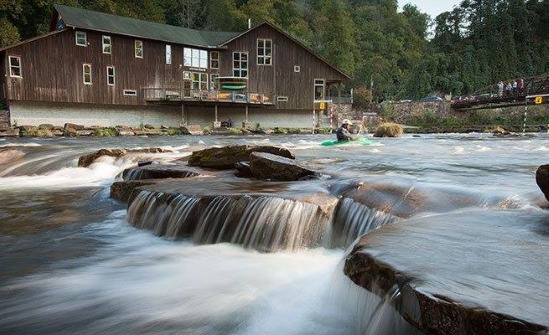 The Nantahala features eight miles of swift Class II rapids before splashing through the exciting Class III whitewater of Nantahala Falls. This trip is a Birmingham Canoe Club trip and requires a current membership. If you are not a current member and would like to join us on this trip you can join the BCC.